OLD PARKED CARS. 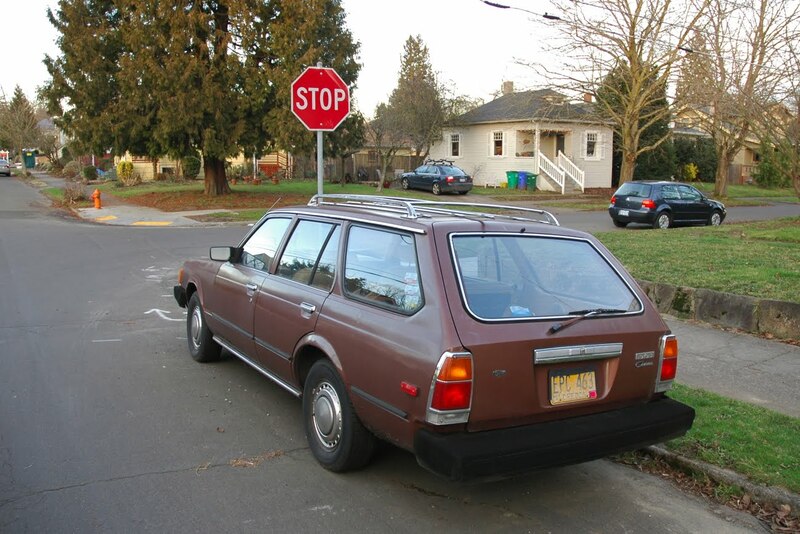 : 1981 Toyota Corona Wagon. This car is so dull it's almost invisible. If it would do it, you could run 90mph down the interstate undetected. Original wheel covers :) though I like the front end of the '78 I learned to drive on better. 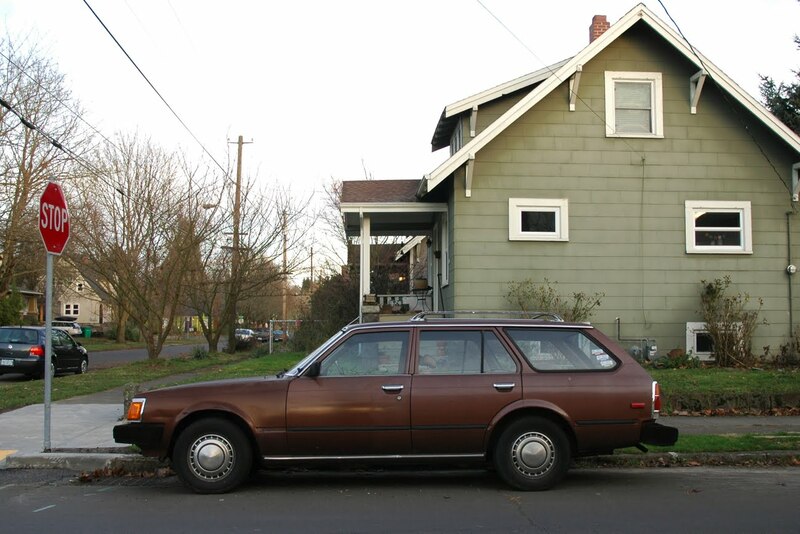 Love that shade of brown. drove past this today and did a double-take but was not able to stop for photos. 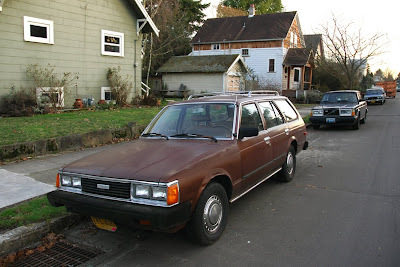 i thought, "is that a corolla with subaru headlights?" glad you got it already, benny.